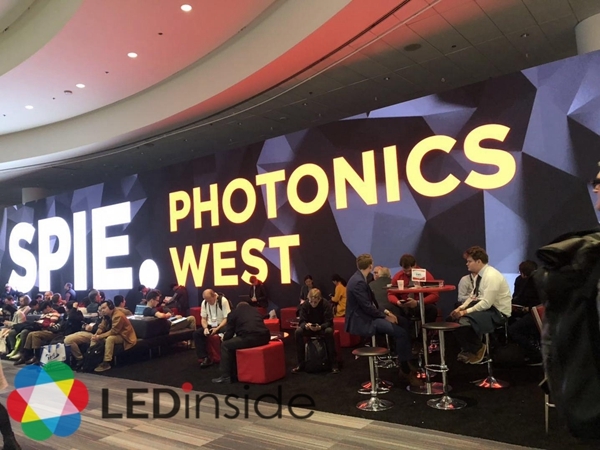 Photonics West 2019 is the largest photonics exhibition in the world held annually in San Francisco. 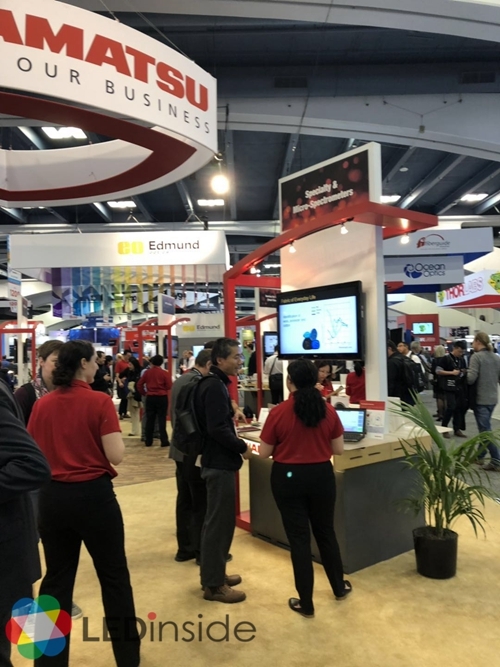 According to the exhibitors at the show, LEDinside learnt that the main technical challenges of VCSEL include power conversion efficiency (PCE), temperature drift, slope efficiency, and light field design. Most of the exhibitors at the show have achieved a power conversion efficiency of 40% for VCSEL products of 1-2W. 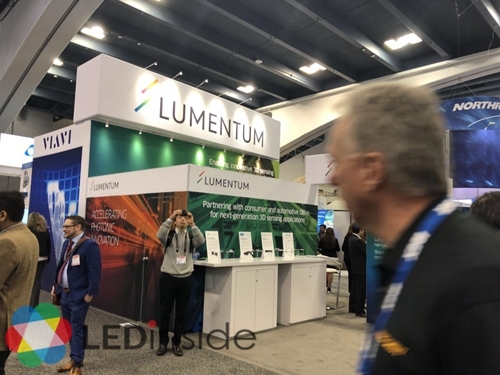 Among them, Lumentum said it will continue to increase conversion efficiency to 43% in this year. 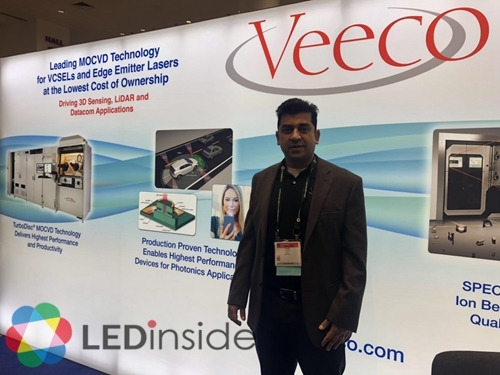 LEDinside was honored to interview Somit Joshi, Vice President at VEECO, at Photonics West 2019. VEECO takes a bullish view of mobile 3D sensing and LiDAR market developments, especially for mobile phone application. VEECO's advanced MOCVD equipment based on TurboDisc technology is targeted for the stringent requirements for the next wave of higher power VCSELs. VEECO is able to improve 6-inch wafers uniformity and control Al composition while managing defects and enhance Doping Control by 25-50% over the current industry baseline. This is on top of the 40% higher productivity provided by TurboDisc technology. In addition to MOCVD equipment, VEECO has world class wet processing systems that are used in VCSEL production at leading customers today. The Wafer Storm and Wafer Etch platforms enable superior process control with industry leading throughput and cost of ownership. In response to the increasing demands of the LiDAR market, OSRAM has continuously expanded its laser portfolio for LiDAR to accommodate the needs of customers, including increasing the peak power of the SPL DS90A_3 to 120 W at 40 A. 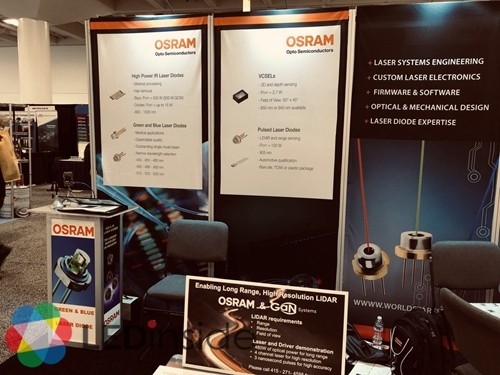 In addition, OSRAM plans to release a four-channel SMT laser in 2019. One of the issues with LiDAR technology has been its inability to transmit lasers at short pulses, while maintaining high peak power, which is necessary to ensure that LiDAR is eye safe with a long range and high resolution. To address this need, OSRAM worked with GaN Systems to develop a four-channel Laser at 40 A each to deliver 480 W peak power. 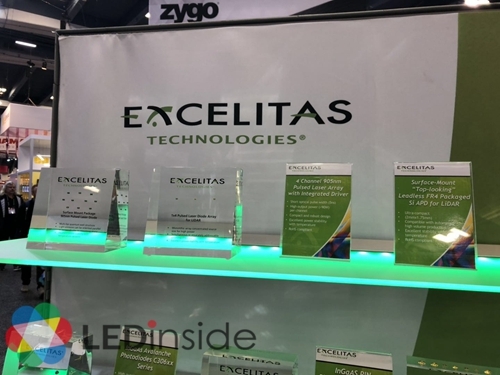 Excelitas is a well-known LiDAR laser manufacturer. The 1x4 pulsed laser has been displayed at the exhibition, and its power can reach 70W. In addition, APD is also displayed, which is actively moving towards the LiDAR market. In addition to LiDAR Laser, light detector is another important key to LiDAR development. Light detector includes photodetector, avalanche photodiode, single photon avalanche diodes, and Silicon Photomultiplier (SiPM). Major players include Hamamatsu, First Sensor, On Semiconductor and Excelitas. Since First Sensor acquired part of Sensortechnics, it has expanded its product portfolio of Silicon Photomultiplier (SiPM). 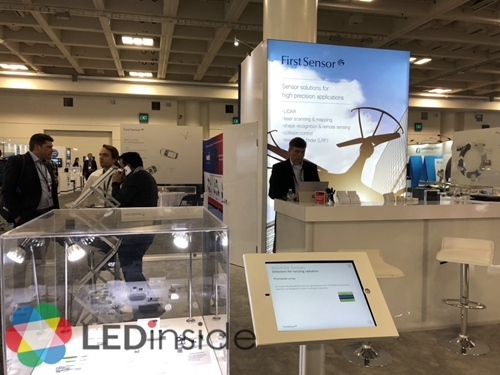 According to the report of LEDinside, "Infrared Sensing Application Market Trend," long-wavelength applications above 1,000 nm are for surgical treatment, optical communication, niche health monitoring (blood glucose sensing), equipment testing, gas sensing, automotive LiDAR, and spectrometer. 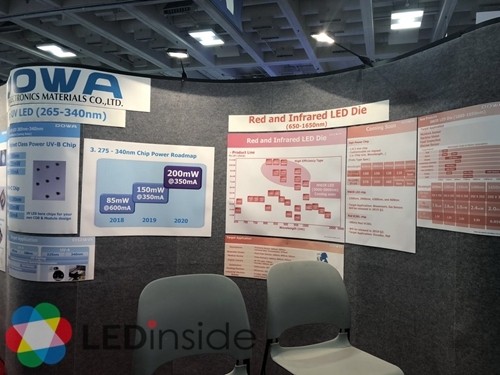 DOWA, a well-known infrared LED company, exhibited 1000-1600nm infrared LED products, which reach 2mW at 20mA. The product is used for gas sensing and alcohol sensing. At the same time, with cooperation with its customers, 3000-5000nm infrared LED products will also be launched in the market soon, which will inevitably bring new application demands and market momentum to the infrared sensing market. In addition, 680nm red VCSEL is also one of the main developments. 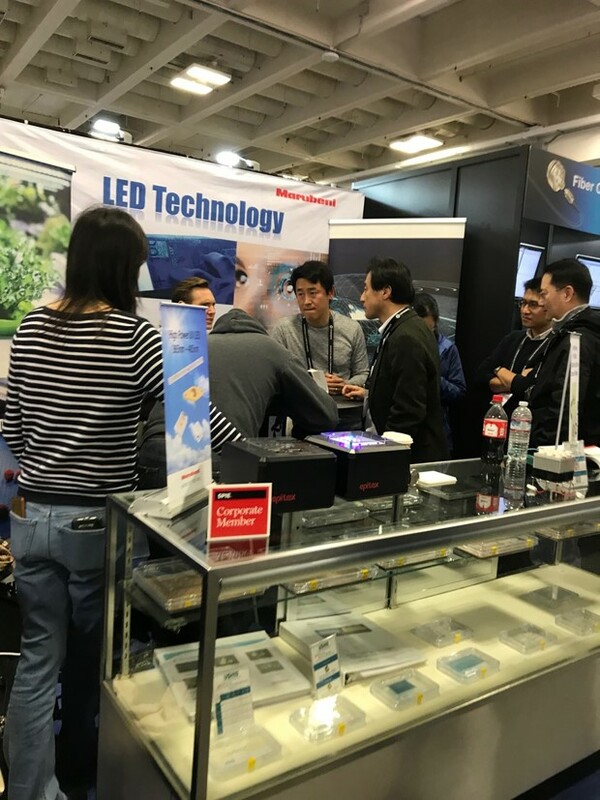 USHIO develops UV-A LED and infrared LED and has the latest major breakthrough in the development of long-wavelength infrared LEDs. In the original 1650nm infrared LED products, the company managed to reach an output power of 80mW (500mA); moreover, with its 1750nm infrared LED products, it can reach 2mW when driven by 50mA and reach 15mW when driven by 500mA. Marubeni offers various LEDs with wavelengths between 285 nm and 1750 nm. For the long wavelength market, Marubeni provides the highest power IR LED (1050-1750nm) in the industry together with 2mm large InGaAs PDs. The broadband spectrum wavelength LEDs (400-1000nm) with special phosphor are also available for various applications. 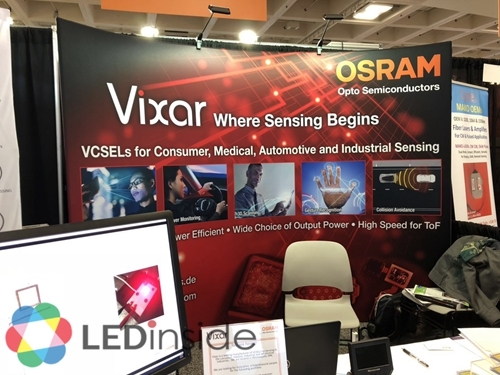 After the acquisition of Vixar, Osram has launched VCSEL products for mobile 3D sensing. It is expected to enter the mobile phone market. Dr. Takashi Kondo from Fuji Xerox, a well-known VCSEL manufacturer in Japan, presented a Self-scanning VCSEL report at the seminar. 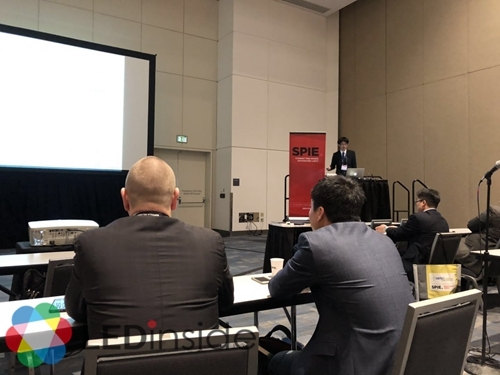 By using epitaxial and wafer design, it not only greatly reduces the product area, but also controls the arrangement of Emitter to achieve light effect of 3D sensing. Dr. Serdal Okur of ams also published its chip products at the seminar, which its divergence angle can be adjusted via epitaxial design. Lumentum is a well-known 3D sensing supplier. 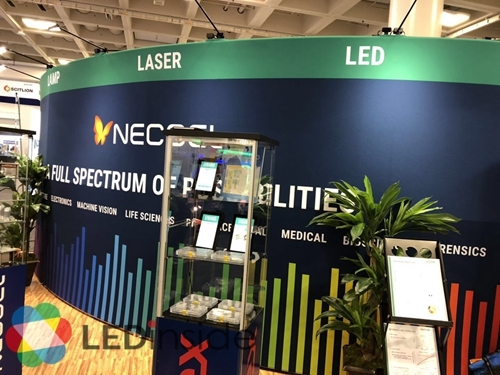 At this exhibition, Lumentum presents a series of product which the company worked with its sensing module clients including a VCSEL with structured light sensing producer, and edge-emitting lasers with LiDAR makers. 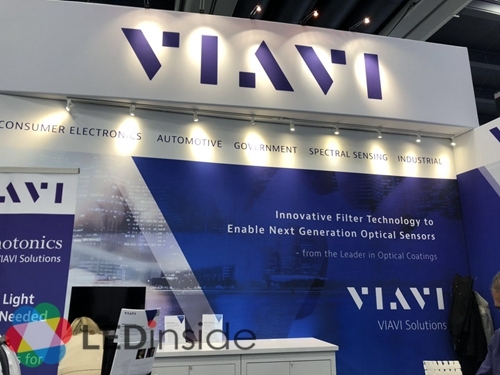 After the acquisition of RPC Photonics, Viavi officially entered the diffuser product market. During the show, Viavi exhibited a number of light effects achieved with diffusers. 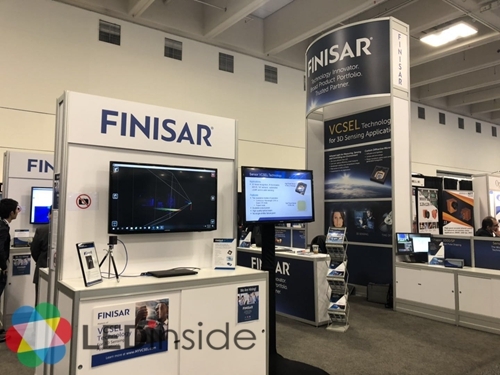 Finisar is optimistic about the World Facing camera market and is currently developing products with brand vendors.